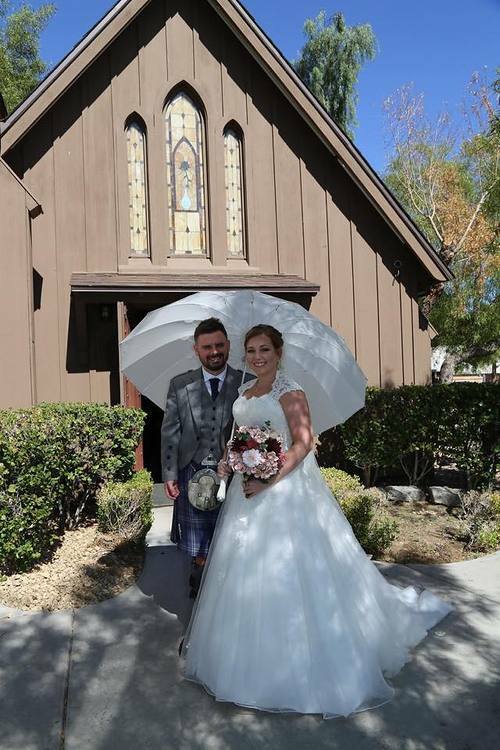 A Wedding umbrella is a must have accessory for any English wedding! 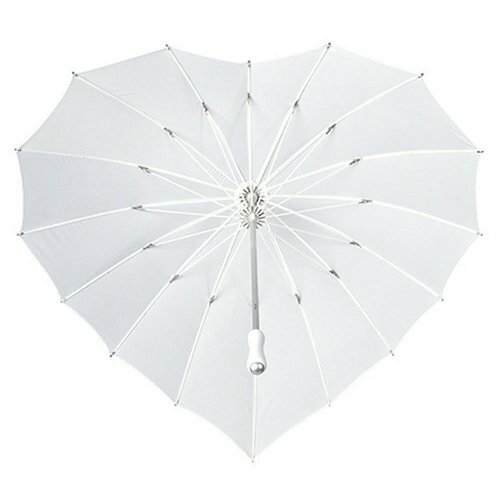 Hide from the rain, keep the sunshine off your face or use as a photo prop – so many possibilities! 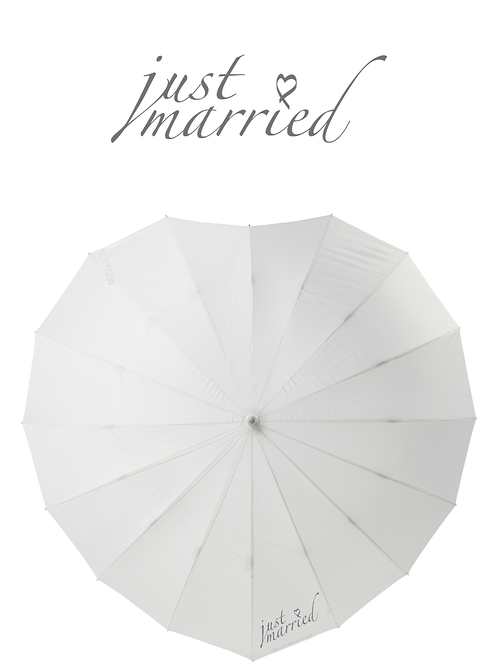 This extra large heart shaped umbrella is a gorgeous accessory to have for the big day and has the words “just married” printed on it.